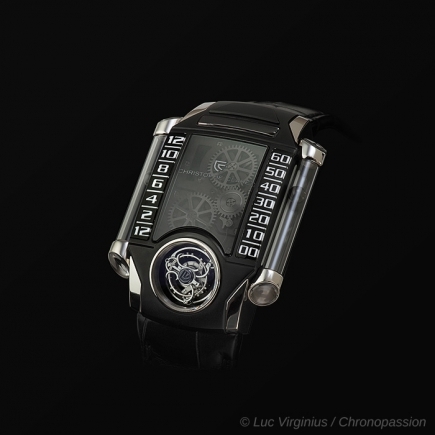 Christophe Claret has given the classic watch its contemporary letters of nobility. The watchmaker, born in Lyon, has propelled fine watchmaking and its complication watches into a new dimension, with a dial and movement that are 100% Swiss manufacture. Each model is for Christophe Claret the opportunity to review the classic watch and, instead, to compose modern, even avant-garde watches like the XTREM 1. In the past, Christophe Claret has designed watches for almost every major Swiss luxury watch manufacturer under their name. Master of the tourbillon and minute repetitions, the watchmaker based in Switzerland has designed highly creative manufacturing complications for rare luxury watches. This is particularly the case for the Grand Deck of Ulysse Nardin, which Christophe Claret designed in collaboration with the Swiss manufacturer Le Locle. The action of the movement is visible on the dial side under the sapphire crystal but, as is often the case with Christophe Claret, it is part of the movement itself that is visible through the sapphire crystal of the watch. In this respect, the watchmaker has profoundly revised the canons of fine watchmaking, playing at assembling complications, movement and dial into a single coherent whole obtained at the price of a resolutely innovative design. 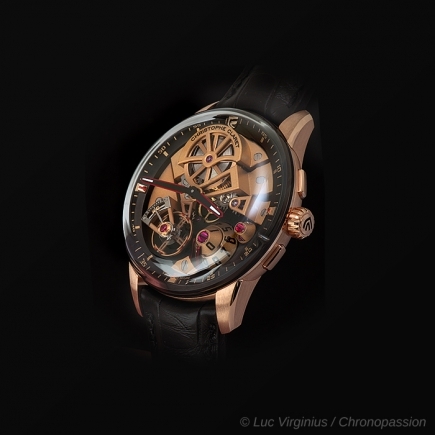 Christophe Claret's X TREM 1 summarizes this disruptive approach to watchmaking. On all watch brands, none was ready to pay the price for such a development. 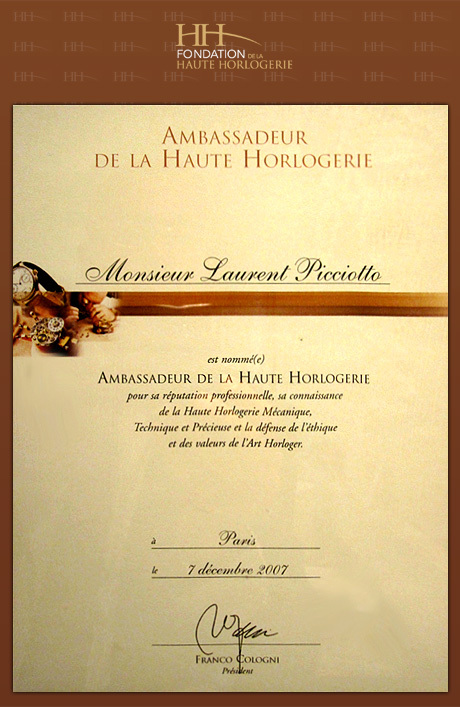 Christophe Claret did it. With a tourbillon at 6 o'clock, this luxury watch uses a magnetic field to indicate the hours, and another magnetic field to indicate the minutes. The whole is visible through two sapphire tubes. This type of complication is exclusive to Christophe Claret, the watchmaker from Lyon, who now lives in Switzerland not far from Ulysse Nardin in Le Locle. 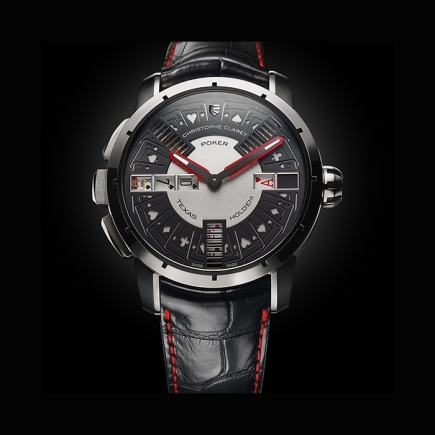 The X TREM 1 remains one of the most popular watches among collectors with complications, with a 100% Swiss manufacture movement - a watch that has also won many awards. 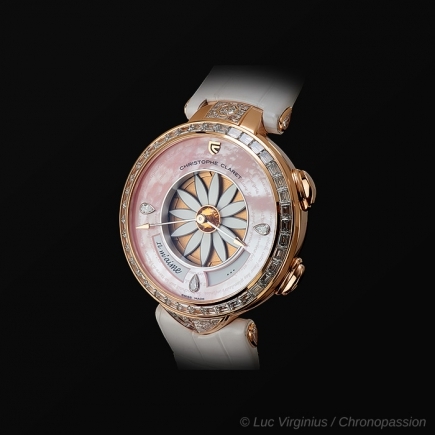 However, it was the Marguerite model and the Margot model that changed the situation for watchmaker Christophe Claret. With these two ladies' watches, also complication watches, Christophe Claret delighted the ladies' watch. With no tourbillon, no minute repeater, no visible movement on the dial side, but with an award received at the Grand Prix de l'Horlogerie de Genève, Christophe Claret has created two manufactory models that have made the headlines of Swiss luxury watches for a very long time. Margot and Marguerite have become classics of Swiss luxury watchmaking and continue to receive awards, their own price being today largely tiered with different levels of playful possibilities visible on their dial. Today, Christophe Claret continues to innovate. 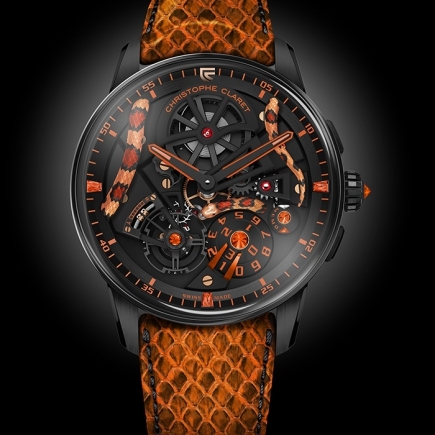 Its X TREM 1 is now made of Damascus steel, a steel whose layered structure reveals the beauty of the material - even though steel is not very popular in the Swiss luxury watch industry, watchmaker Christophe Claret has given it its letters of nobility in this model with complications and X TREM 1 "Damascus Steel" tourbillon. 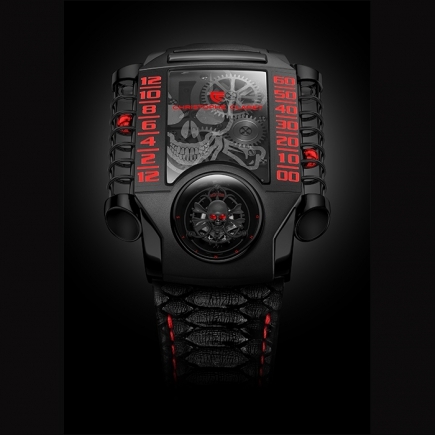 Next to it, the Blackjack watch offers on its dial the possibility of playing blackjack with a movement capable of reproducing random game scenarios. These luxury watches are available at very high prices today for discerning collectors of a high-end Swiss men's luxury watch of playful and transgressive luxury, while Margot and Marguerite, Christophe Claret's first watch for women, offer a poetic and dreamlike watchmaking.